With the experience obtained during years in the aviation market, the Avionics Services offers solutions and services to attend any demand in avionics projects. For this, the company counts with a multidisciplinary team, consisted of engineers and highly skilled technicians, able to develop and manufacture new products, installing equipments and avionics systems, and carry out interior restoration projects in all types of aircraft on the market. 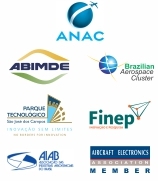 In addition to these services, the company is certified and recognized by major manufacturers in the market to realize maintenance and repairs in all equipments and avionics systems represented. The Avionics Services takes all the necessary procedures to ensure the client and to his project, safety during all phases involved. This gives the company the highest standard of quality recognized by the market. Relying on highly skilled professionals and the latest generation machinery, the Avionics Services manufactures its products with the highest standard of quality and safety. 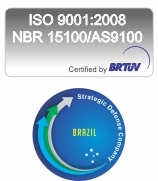 All equipment developed goes through tests conducted by INPE and complying with the requirements of DO-160 of RTCA. Able to perform all the stage involved in setting up an avionics project, the Avionics Services provides a highly specialized team and uses only approved equipment, which gives a very high standard of quality and market recognition. Recognized for its outstanding staff and the highest standard of quality involved in the work done, the Avionics Services is able to develop restoration projects for any type of aircraft on the market. Performs the maintenance and repairs in equipments and avionics systems of the largest manufacturers in the market, as well in the own brand products, the company has a technical lab and specialized professionals.